Well Ms. Bonner- I am pretentious, but I don’t particularly care if you liked Dunkirk or not, I did, however, think your enumerated criticisms were silly bordering on infantile. We do agree though, it has nothing to do with your gender. First of all, the film is not “designed for men to male out over”. London Has Fallen is a film to male out over, Die Hard was a movie to male out over, I love me a good film to man out over, Dunkirk, however, was not a movie for men to male out over. It was a somber and sobering look at one of the most important moments in the history of warfare. I’m a bit of a connoisseur of gratuitous testosterone-driven action flicks- and Dunkirk was not one of them. Saving Private Ryan has more characteristics of that than Dunkirk did. Even if it was “designed for men to male out over”… so what? Is there something terrible about a film promoting masculinity and masculine virtues? You know, that same masculinity which got those men off the beaches, and then brought them back four years later and liberated Europe? WWII was probably one of the great triumphs of heroic masculinity, and I don’t find anything wrong with celebrating that. The turn she takes which particularly annoyed me the most was “why not make a movie about women in World War II… [or] any other marginalized group?”. This variant of whataboutism rears its head regularly in feminist or post-modern critiques of media. They don’t engage the media on its own merits but opine that it didn’t fit into their worldview. She says that, instead of focusing on white men, maybe Nolan should have made a film about “marginalized groups,” by which she means LGBT, women, or ethnic minorities. But if Ms. Bonner could separate herself from her political preclusions for a half a second, she may have thought about the fact that maybe the entire film was about marginalization. The definition of marginalize is: to relegate to an unimportant or powerless position. Despite the uplifting macro-plotline, the entire film is full of British soldiers, sailors, or airmen being “marginalized.” Further, into the movie, we see a graphic scene of a destroyer being sunk and the deaths of all the soldiers below decks. We see men desperately trying to swim to safety only to be incinerated in an oil slick set ablaze. A small cadre of men trapped in a beached merchant ship while the Germans use it for target practice. “[W]hy not make a movie about women in World War II… [or] any other marginalized group?”. Why not indeed Ms. Bonner. There are stories to be told of ethnic minorities, women, and other minority groups during WWII. There was recently a movie about Alan Turing who was on the team which cracked the Enigma Code, saving millions of Allied lives. However, due to his sexual orientation, he was prosecuted and chemically castrated by the British Government after the war in a nearly unimaginable show of ingratitude towards a man who singlehandedly helped win the war. Turing should have been a Churchillian hero of WWII instead of relegated to relative obscurity, and The Imitation Game tells his story. There were Hindu Regiments that fought for the British in the middle east. That entire theater of WWII: Africa, and the Middle East, has been largely neglected by Hollywood. A quarter of a million North African Arabs fought with the Free French Army to liberate France from Germany. The French and British Colonies across the world fought, often alone, and with incredible bravery, against the Nazis and Imperial Japanese. If you’re so concerned about these stories being told Ms. Bonner, then may I suggest you tell them. You have some skill as a writer, that is how you make your living. Write a script for a film or TV show so compelling that Netflix or Paramount would be insane to pass on it. I mean that earnestly, I want those stories to be added to the cannon of WWII films before they’re forgotten. But that’s not what Dunkirk was about. It wasn’t about the British Hindu regiments fighting in Egypt, or about French Algerian Forces fighting alongside the allies liberating France. 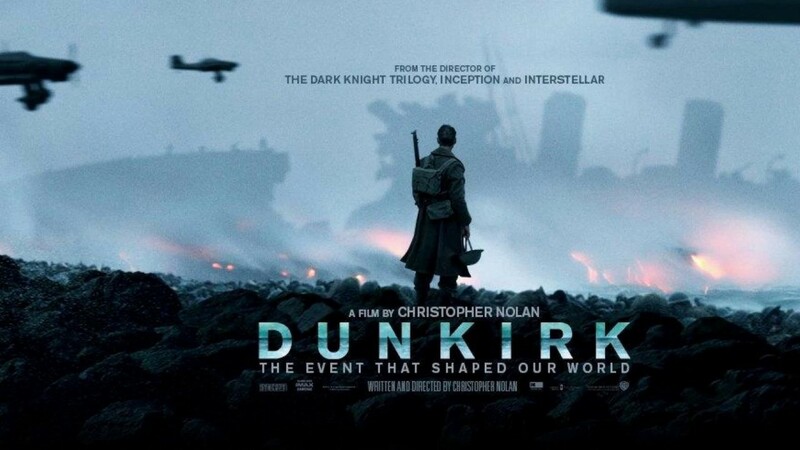 It was about the British Army being evacuated from Dunkirk. Just let it be that, let another film (your film?) tell those other stories. There were few people, or group, anywhere in the British empire as marginalized, as powerless, as the men on the beaches of Dunkirk in May of 1940. Dunkirk, in addition to being a cinematic masterpiece, showcased the horror and heroics of war. It should serve as a reminder to all of us comfortable, free people walking around today how indebted we are to those who came before us. It should remind us that despite what movies or video games make it look like, war isn’t glamorous.